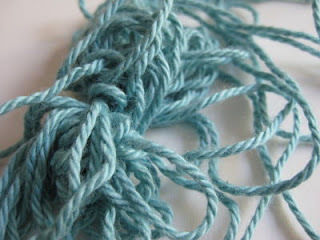 Start a new ball of yarn, try to find the yarn end from the centre, try again to find the yarn end, try again and again. Give it to Mr to find the yarn from the centre. 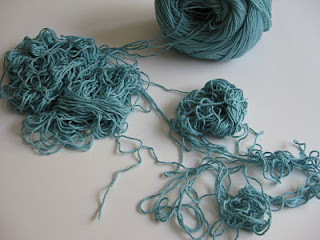 Don't get me wrong, I'm not blaming Mr here, it's my own fault, sometimes I just yank the yarn out too hard because I've lost my patience and then I end up with a big pile of yarn and a terrible knot! So lesson learned... If using yarn from the Bendigo Woollen Mills - don't try or even attempt to take the yarn from the centre! Unless I'm missing out on something... am I or is it really this hard?